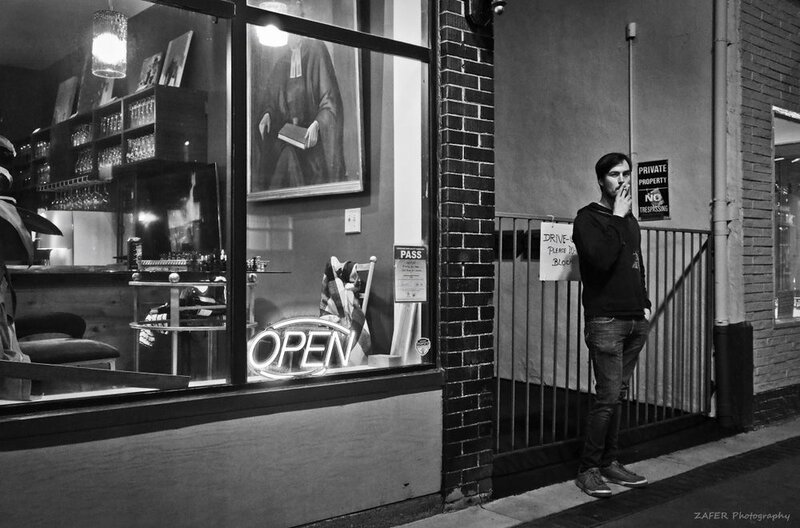 What exactly is a flâneur? It comes from the French noun un flâneur [ahn flah-NUR]—EMBLEMATIC OF 19TH CENTURY FRENCH LITERARY CULTURE it means the stroller, the passionate wanderer, observer of the city. "The photographer is an armed version of the solitary walker reconnoitering, stalking, cruising the urban inferno, the voyeuristic stroller who discovers the city as a landscape of voluptuous extremes. Adept of the joys of watching, connoisseur of empathy, the flâneur finds the world ‘picturesque." STREET PHOTOGRAPHY - WHAT IS IT? Street photography (a vague term as it may be) is photography conducted for art or enquiry that features unmediated chance encounters and random incidents within public places. In the street it's spontaneous. Uncontrolled. Serendipitous. Being open to the unexpected. The City is the street photographer's studio. 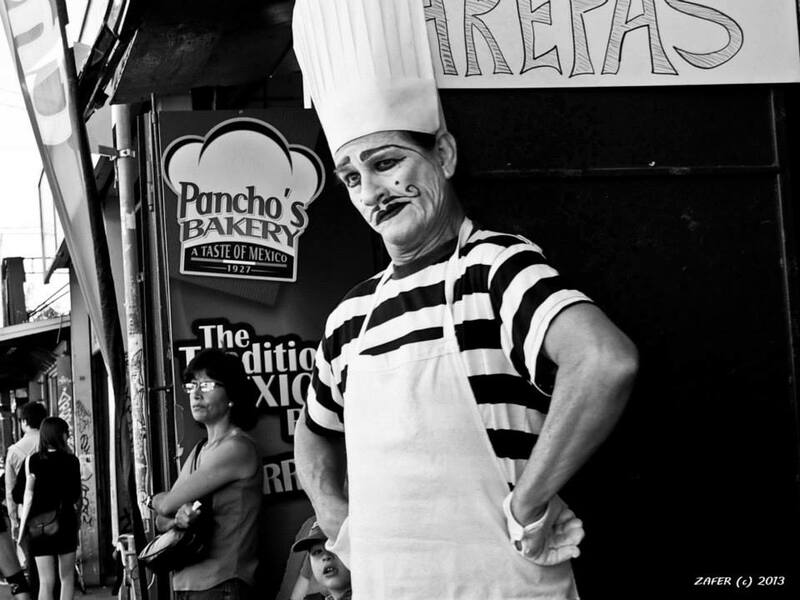 Street photography has essentially become a catch-all term, unfortunately, but it does best describe the practice in its most generalized definition. 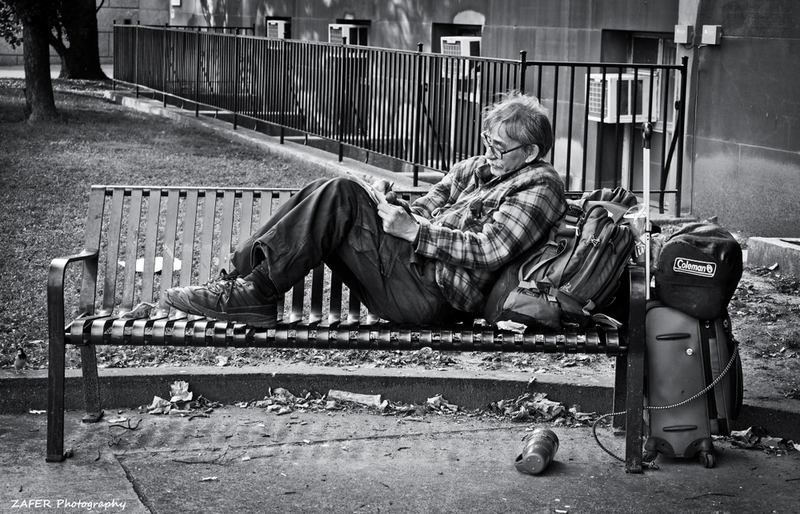 Personally I prefer to call it Humanist Photography -- but for all intense and purposes we'll mostly refer to it simply as Street Photography - CANDID that is. It is the authenticity in the non-posed candid shot that I'm after, nothing contrived. I may be an observer but my camera allows me to also be a participant, in a raw and unrehearsed theatre of randomness full of unknown actors and extras. Street photography is a genre of photography that features subjects in candid situations within public places and does not necessitate the presence of a street or even the urban environment. 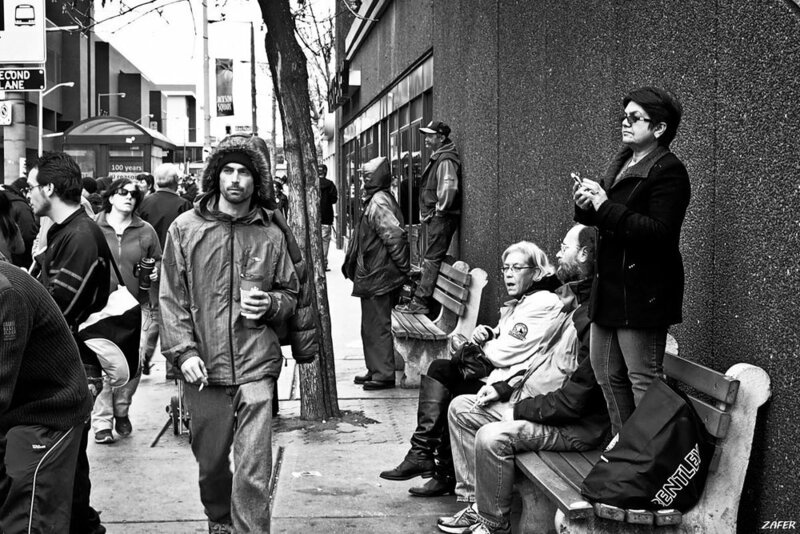 ‘Street’ simply refers to a place where human activity can be seen, a place to observe and capture social interaction. The subject can even be absent of any people altogether and can be that of object or environment where an object projects a human character or an environment is decidedly human. The flâneur first appeared in nineteenth-century Paris, an emblem of the changing city and the changing society, a product of urbanization and revolution. Famous French poet, Charles Baudelaire, defined a modern definition of the flâneur—that of “a person who walks the city in order to experience it”. In this case the flâneur is the street photographer who walks, watches, and stops to pay attention to the scenes unfolding before him (or her), engaging with the city as it presents itself in motion and on foot. While Baudelaire characterized the flâneur as a "stroller of city streets", he saw the flâneur as having a key role in understanding, participating in and portraying the city. 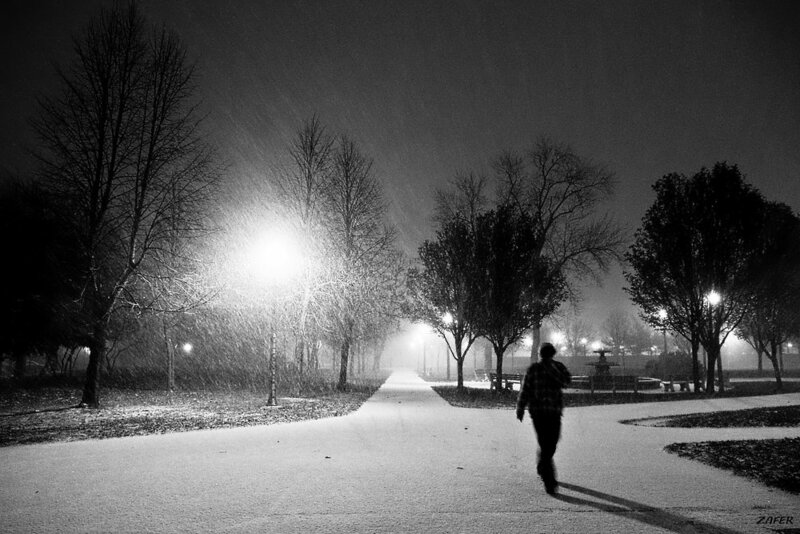 The Candid Flâneur is like an author in search of characters for his story. An entire novel can spring from a single encounter observed in the city street. 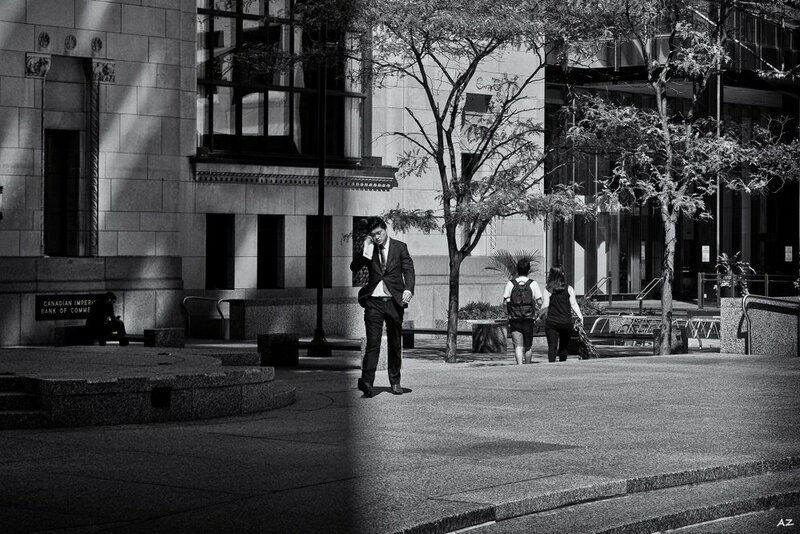 Everything here is centred around Street Photography. 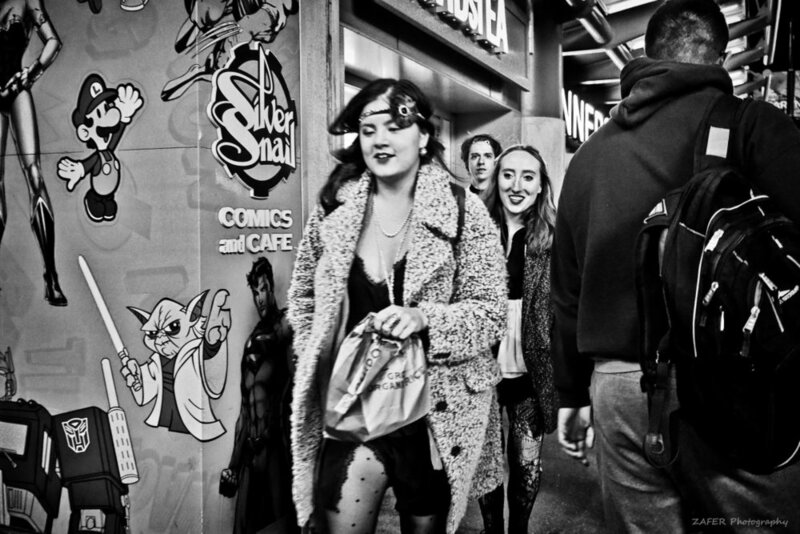 “Street Photography” by definition has many overlaps and nuances. For some of us these overlaps include: Urban, Humanist and Social Photography, Documentary Photography, Candid Photography and Photojournalism. The spirit and rhythm that is REAL-LIFE. The Candid Flâneur plays duo roles as both the detached observer as well an an engaged one, studying through the lens the sociological and anthropological notions of the relationship between individuals and the greater populace. Aside from a small compact size camera, good legs and walking shoes are essential tools of the wandering photographer. Much of the blog section will be photojournalistic and often-times personal in scope. It will be a non pretentious approach to the art of street photography as it aims to be a destination to exhibit the many aspects of the human condition, day-to-day observations of life in the way only a Street Photographer can. 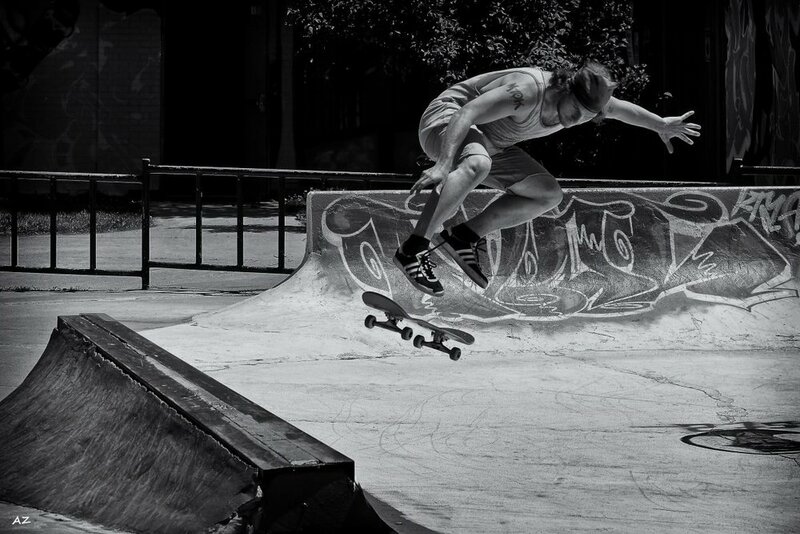 The goal is to share with you experiences shooting in the streets, feature curated galleries and short photo essays. As the site is further developed, the idea will be to go in-depth on tactics in street photography, less on the technical and more on concepts, SEEING, finding the story, looking for the visual narrative, lending advice to emerging street photogs and hopefully some wisdom along the way. We'll also touch on photographer rights and ethics. The Candid Flaneur will also cover the work of photographers (past and present) to both help inspire and show us the many styles and approaches to shooting street. 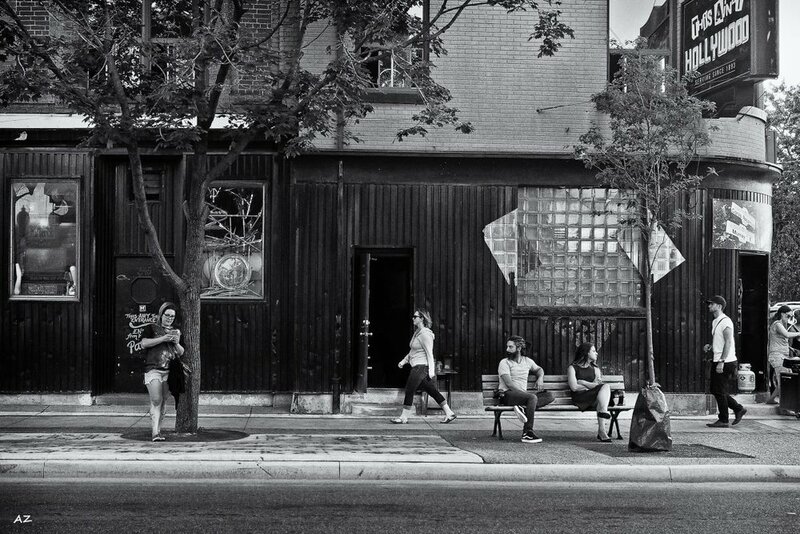 One of my favourite spots to hang about in search of the decisive moment is Queen St. @ Spadina in Toronto. Dundas Square is another. 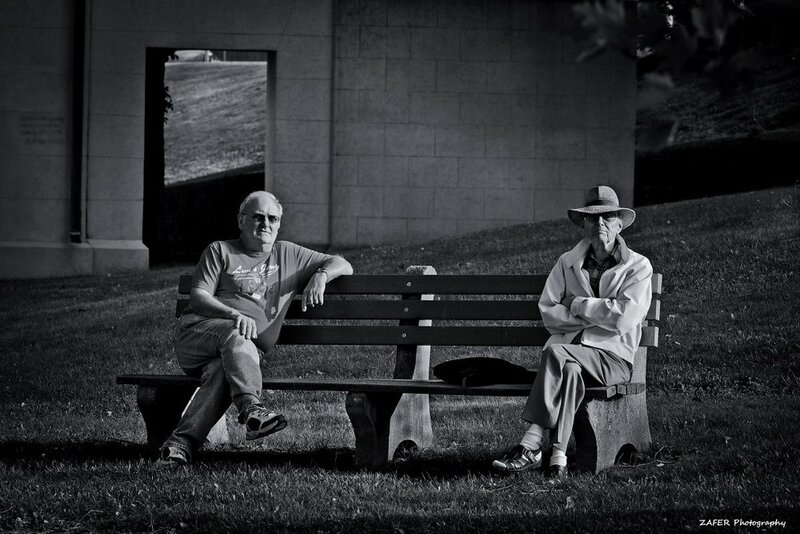 In Hamilton there is no shortage of great candid street photography chances. You'll find plenty of subject matter downtown at King and James St.
Toronto's financial district is a superb section of the city to catch real life moments. The Fashion District is not to be missed. Kensington Market, Leslieville, Discovery District, Chinatown, The Distillery District, Yorkville, St. Lawrence Market and Little India just to name a few. Toronto has so much to offer. 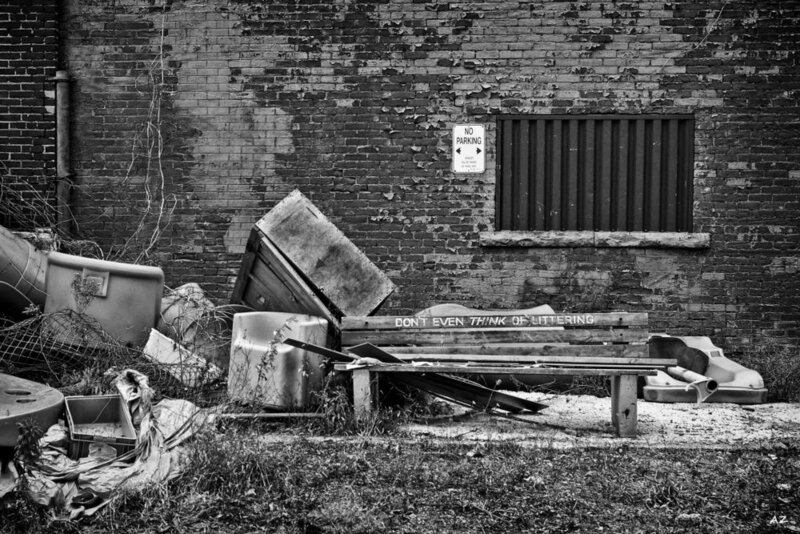 In the City of Hamilton some of the best street photography opportunities can be found along the arts district specifically James Street North and South. Downtown Dundas, Beasley, Crownpoint, Corktown, Strathcona and Kirkendall neighbourhoods to name a few. 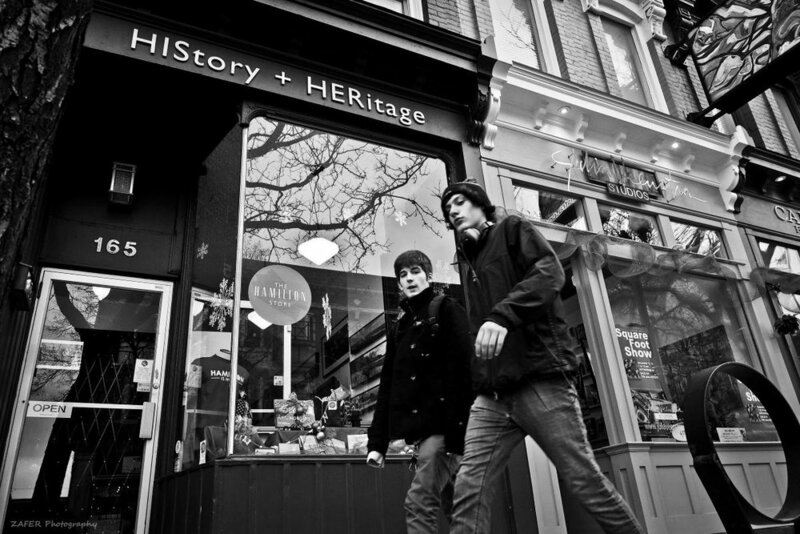 Streets not to miss if you are in Hamilton are Ottawa Street for its plentiful antique shops, foot traffic and fashion. Locke Street is another great destination. The images you see below are being pulled in by 500px. Click on a photo to go directly to the 500px gallery pages. Timeless Wisdom from Magnum’s David Hurn: Wear Good Shoes :: David shares exclusively with YouPic the amazing stories behind his iconic photographs of film celebrities in the 60´s. His interview gives you an exciting inside view of what it was like to be a part of the 1960´s celebrity world. His intriguing stories go behind the scenes of his portraits of stars such as Sean Connery from With Russia with Love, The Beatles on the film set of a Hard Day´s Night, Britt Ekland, and Jane Fonda in Barbarella. W Eugene Smith is probably one of the most brilliant photojournalists of the mid-20th century. He was a master of the photo essay as his contributions to LIFE magazine, Harpers Bazaar, and the New York Times touched a generation. He was one of the most prolific photographers ever leaving a legacy of hundreds of thousands of photos. William Klein has lived many lives. One of the world's most influential photographers, he pioneered the art of street photography and created some of the most iconic fashion images of the 20th century. He also made over twenty films, including the first ever documentary about Muhammad Ali and a brilliant satire of the fashion world, Who Are You Polly Magoo?